Fairies Washboard (Haworthiopsis limifolia) is an ornamental, perennial succulent with large rosettes. It has dark brownish-green leaves, with transverse ridges of raised, horny, tubercles which resemble those of a coarse file and give it such a distinctive appearance. Stemless, solitary or slowly proliferating with or without stolons and forming clumps of up to 20 rosettes, every rosette being 5-6 cm in diameter. The rosettes bear 12-30 broad triangular leaves giving them a characteristic pinwheel-like shape. Haworthiopsis, produce thin wiry inflorescences that are usually unbranched and erect or carried at an angle. The bloom’s Structure, color and fruits are typical of the genus. It requires full sun but will tolerate partial shade. 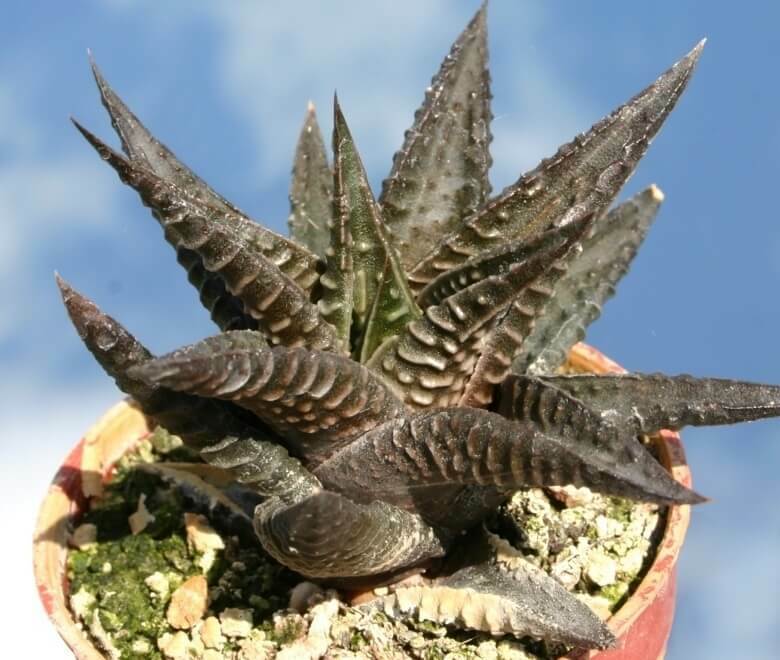 Place your Haworthia plants on a south facing windows that will provide the most sun. It grows well in well-draining cactus potting mix or a part potting soil, part perlite, and part sand. Water your plant regularly during the growing season (from April to September) and always keep the soil evenly moist but not soggy. During the winter months, reduce watering. You can allow the topsoil to become slightly dry between each watering. It prefers an ideal temperatures between 65 degrees Fahrenheit /18 degrees Celsius – 80 degrees Fahrenheit / 26 degrees Celsius and temperature not below 50 degrees Fahrenheit /10 degrees Celsius. Fertilize every month from April to September with a diluted liquid fertilizer. Do not fertilize during winter. Re-pot your plant every two years or more when it outgrows its pot, during the spring season. 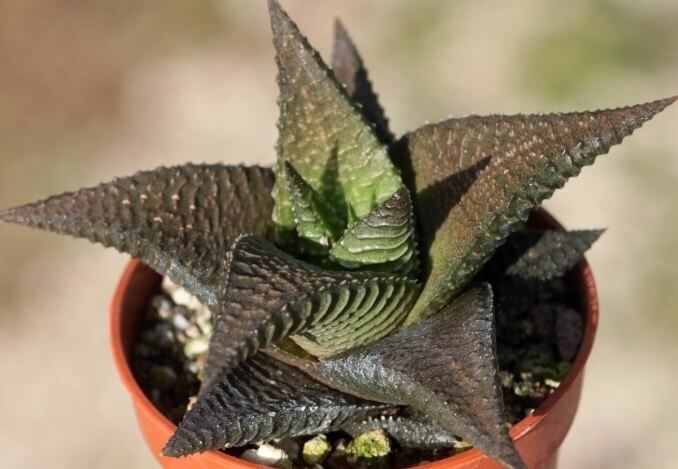 File Leafed Haworthia can be easily propagated by the removal of offshoots or by leaf cuttings in spring or summer. To propagate by leaf cuttings, remove a leaf and let it lie for about one month, giving the wound time to heal. Then lay the leaf on its side with the basal part buried in the soil. This leaf should root within a month or two, and small plants will form at the leaf base. They can also be propagated from seed. It has no serious pest or disease problems. Watch for mealybugs and spider mites.